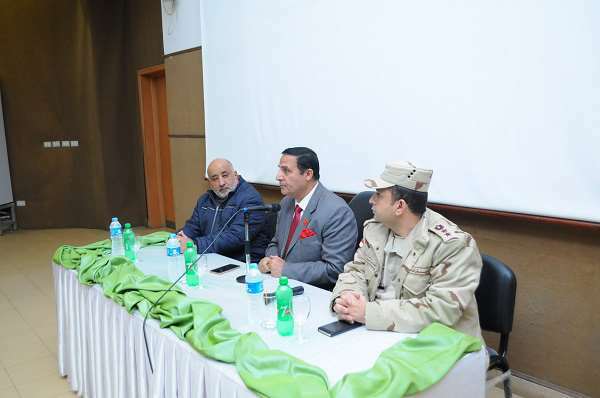 In the light of the Egyptian Armed Forces aspirations to raise awareness among university students about national security issues, Staff Major General. 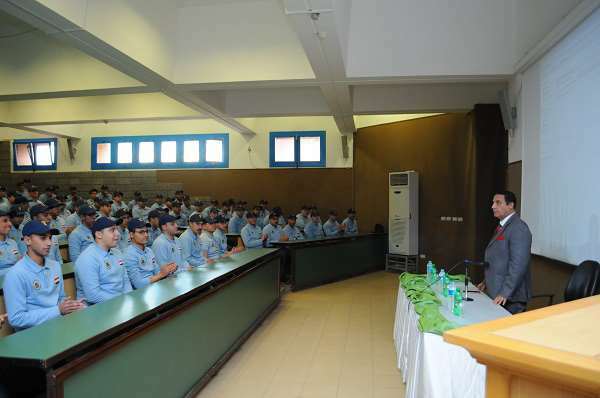 Mohamed Abdullah Alshahawy, the Military Advisor to the Faculty of the Army Command and General Staff, gave a lecture to PUA students who are studying military education about the rudiments of the Egyptian National Security and the challenges it faces as well as the menaces of dismantling the Egyptian state and annihilating the Arab armies. The lecture was given on Monday 29/1/2018 at Pharos University. Staff Major General. 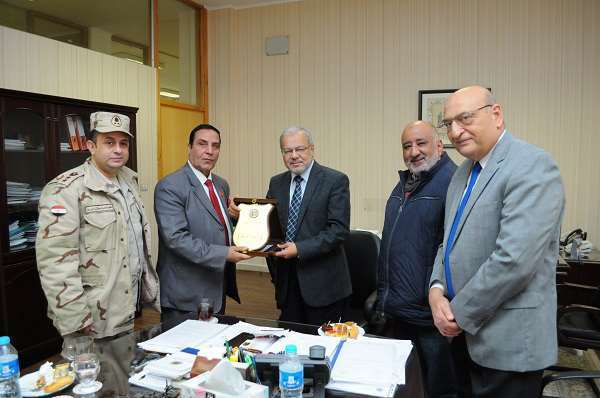 Mohamed Abdullah Alshahawy was received by Prof. Mahmoud Mohy El-Din, the President of Pharos University and Colonel Eng. Mohamed Farouq Ahmed Fahmy, the Director of the Military Education Office at Pharos University where he was given the university commemorative plaque.